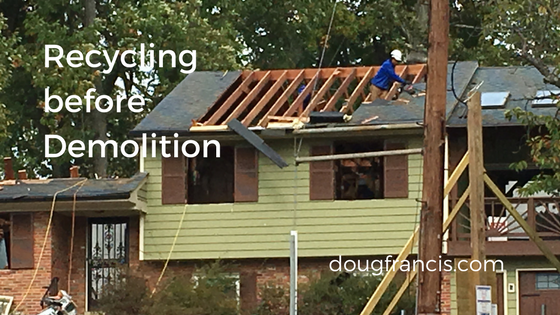 Before we tear down older ramblers or splits in Vienna, there is a period of time when contractors will take houses apart so anything of value can be recycled or donated to a 501 (c) (3) charitable organization. But many people don’t think about wood boards being recycled too. 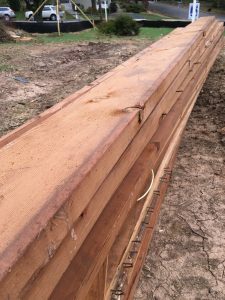 When I remodeled my home and built an addition, I remember the day when the carpenters were excited to tell me that they found a Pacific Lumber Company logo on one of the joists that they were removing. This old growth 2 x 10 had a tight grain unlike most of the boards they see today. Yes, it was a geeky moment for them. The real gold (for the carpenters) are the long boards, and these are typically found when a roof truss is dismantled. The boards that go from the peak to the side of the house (the heel) can be 18′ or more. 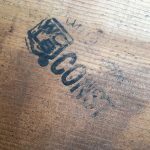 Recently when the guys were cutting out the boards, known as the Top Chords, I looked through the pile for logos and stumbled upon one from the West Coast Lumber Inspection Bureau. Although the mill number isn’t identifiable, the “Construction” grade stamp on the board is clearly visible. Vienna’s building boom in the 1950’s delivered houses appropriate for that generation, but today those homes are often functionally obsolescent and the land value is far greater than the old structure. This house on John Marshall Drive NE in Vienna had been built in 1959, and these Pacific Hemlock boards are still straight and usable. 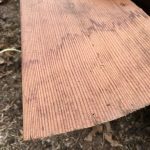 Anyone who has been to the Pacific Northwest has probably seen photos of the old growth forests where these boards likely came from, and wondered where all that lumber went. Some went across the U.S. and into building 1950’s Vienna, VA. Better yet, the recycled lumber likely will receive a higher grading and appreciation when they are sold again. Although I always like to assure families when we buy a home to tear down that there is value to the components, and that I understand every house has a history and was a home full of memories. Vienna has a long history and I like to discuss with the sellers what will happen to the old family homestead… often sending them photos after the new home is built (if you want). It is exciting to see a property transform into the modern age for the next generation of families who call Vienna home.